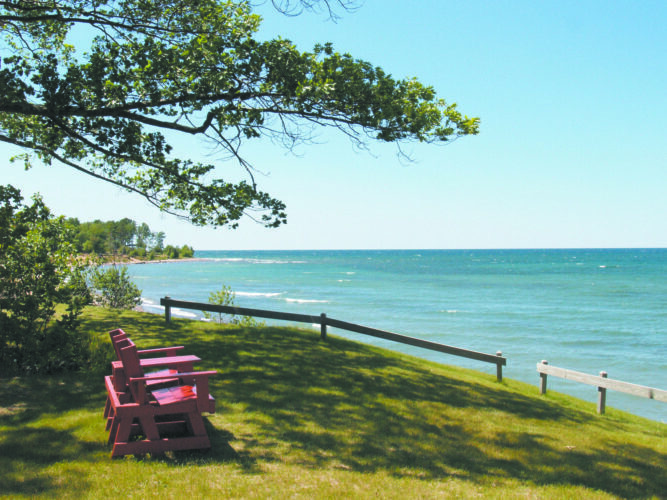 Not far to the west of St. Joseph Island, amid the beautiful blue waters of the St. Marys River, sits the Lime Island State Recreation Area — a place with a special feeling unlike that of most any other Michigan state parks. The small island — which is about a mile-and-a-half square — has been a place known to humans for centuries. 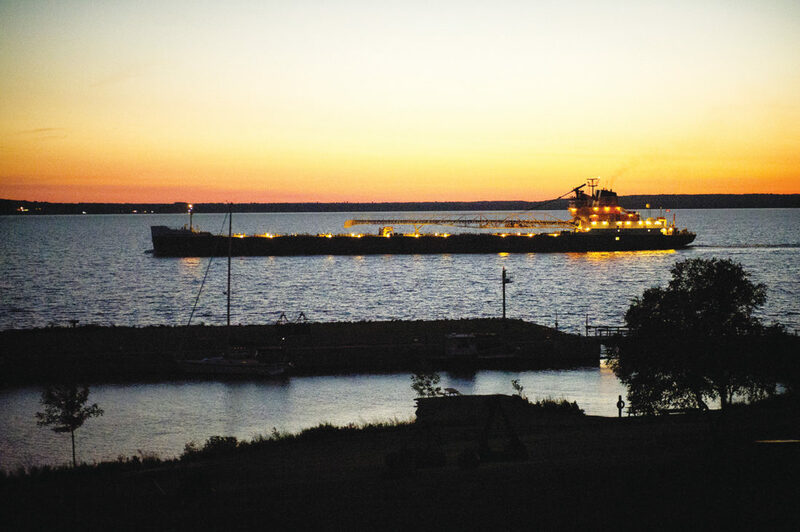 Sitting alongside the shipping channel, visitors are afforded tremendous views of ships moving up and down the Great Lakes. Flint fragments found at the island’s highest point date human activity here to 6,000 years ago. Native Americans buried their dead here, hunted and played ball here. A timeline of cultural activity on a Lime Island website (limeisland.com/timeline) shows French explorers and missionaries traded and explored on the island during the 16th and 17th centuries. Deciduous and evergreen trees evenly cover nearly all the island. The highest point on the island sits about 100 feet above the water’s edge. Wildlife inhabitants of the island have included moose, white-tailed deer, fox and snowshoe hare. More than a dozen lime kilns were discovered on the island. In 1836, the Treaty of Washington ceded Lime Island to the United States from the Native Americans. In 1843, boundaries drawn determined the island was in Chippewa County. 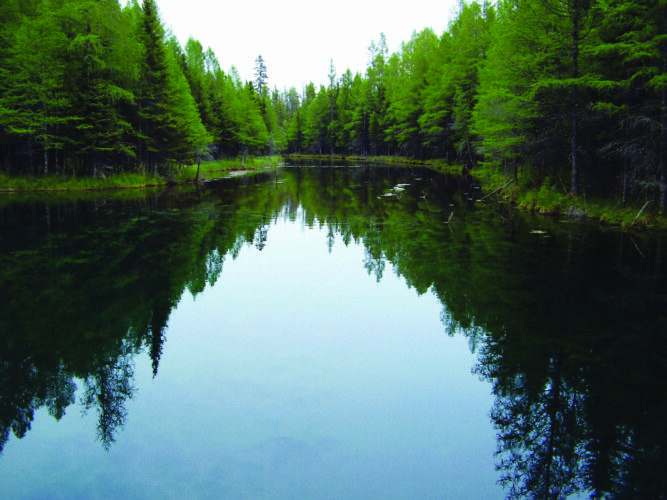 Three years later, the island was deeded to Joseph Kemp, a fur trapper and fisherman whose family owned the property for nearly 40 years. Beginning in 1885, the island changed hands several times. The Pittsburgh Coal Co. used Lime Island as a refueling dock for upbound and downbound ships. Several structures were moved to the island from Pointe aux Frenes. 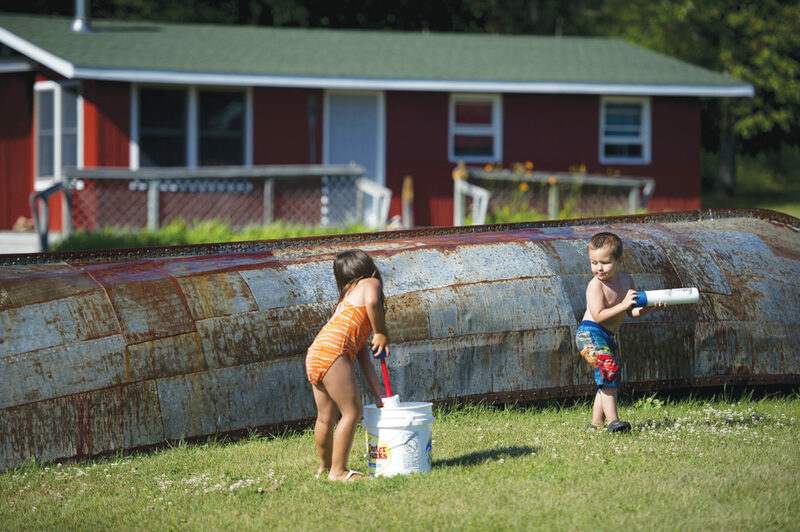 A one-room schoolhouse was built in 1912 and then opened the following year. In 1928, 14 families, including 17 children, inhabited the island. The island’s dock closed in 1982. Lime Island was later purchased by the state of Michigan for $1. Coal dock workers, their families and their belongings left the island. 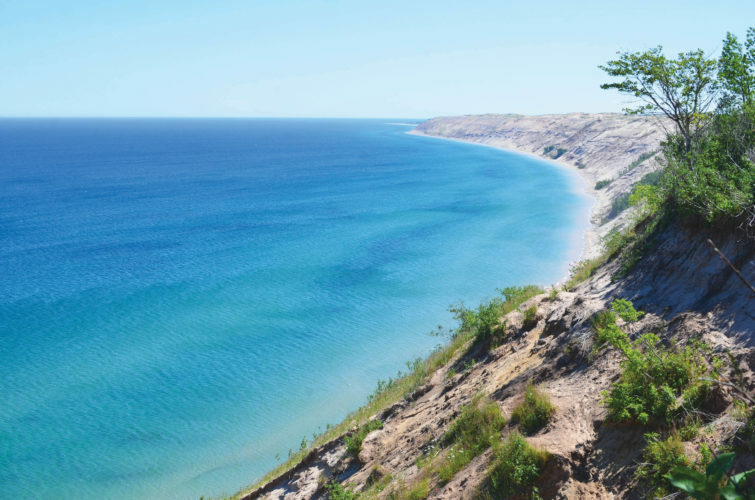 For a few years the island sat silently within the St. Marys but was discovered by vandals before the Michigan Department of Natural Resources began to develop a plan for the island in the late 1980s. In the early 1990s, work began to restore the schoolhouse, which had closed three decades before. Restoration work continued to revive structures on the island under several caretakers. A friends group was created in 2005. Today, cottages and tent camping are available on the island. Visitors charter or pilot private watercraft 3 miles across the river to reach Lime Island. Trying to get to the island on a non-motorized boat is not recommended. Wooden platforms, located near the docks, are used as tent bases to reduce impacts on the island ecosystem. Additional platforms are located on the southeast side of the island and are accessible by water or a 2.25-mile trail from the harbor. Additional camping is also available. No public use of motorized vehicles is permitted on the island. Pets are allowed, but not inside buildings. Food must be secured with Lime Island populated by black bears. Available facilities include walk-in camping sites and a picnic area. Anglers can try their luck for several species including northern pike, walleye, yellow perch and herring. Lime Island has the distinction of once being home to the largest population of breeding common terns on the Great Lakes. In 1997, 649 breeding pairs inhabited the island, using the old coal dock and a rock pile in the harbor as nesting sites. 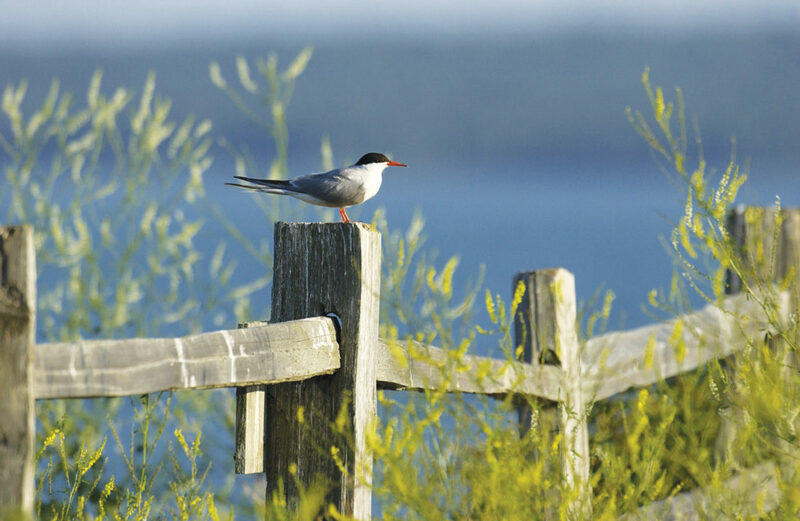 With changes in vegetative cover, a torrential rainstorm and other factors the tern colony was abandoned in 1999. The birds remain a threatened species in Michigan but may still be found in the area and surrounding counties. 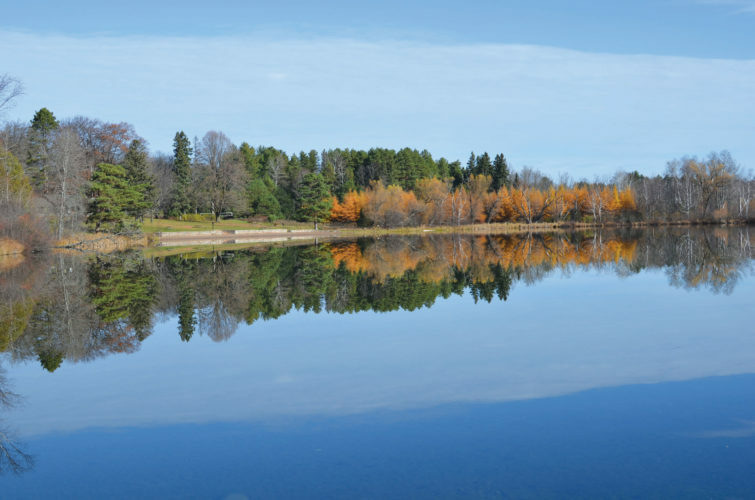 From its interesting cultural heritage and somewhat isolated location in the St. Marys River — near the international border with Canada and up-close with Great Lakes freighters — to its places to hike, camp and enjoy beautiful sunrises and sunsets, Lime Island is a very cool place to check out. 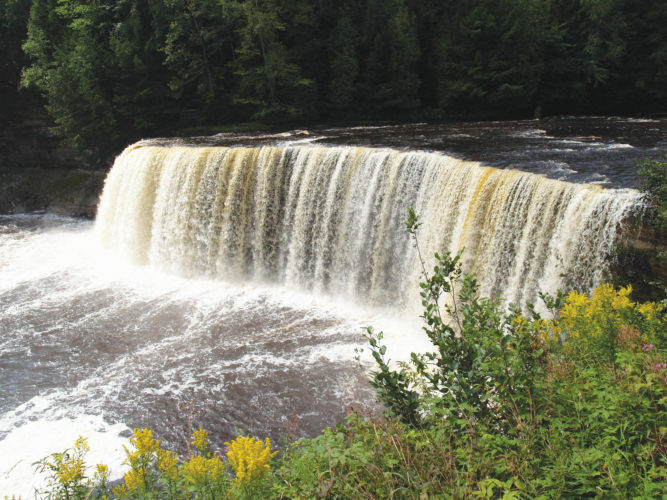 There are also numerous additional attractions in the area, including Sault Ste. 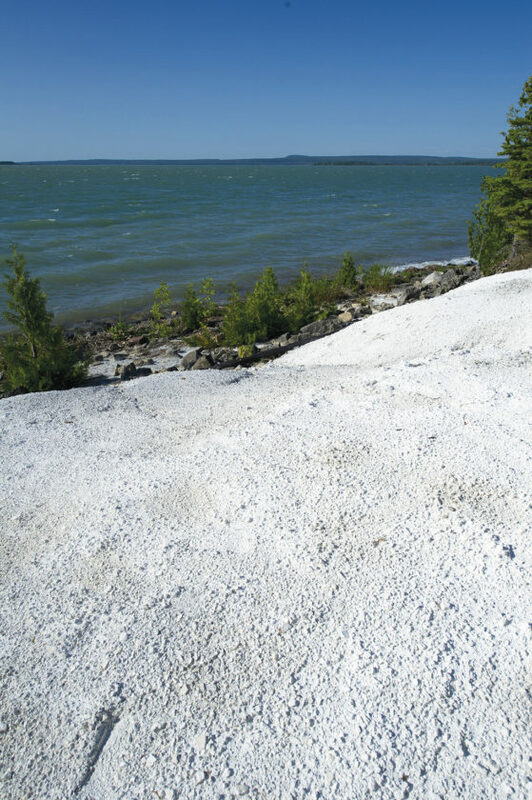 Marie, St. Ignace and Mackinaw City, all located within reach of a comfortable day trip. Let the warm summer breezes find you relaxing among the sights and sounds of the Lime Island State Recreation Area.